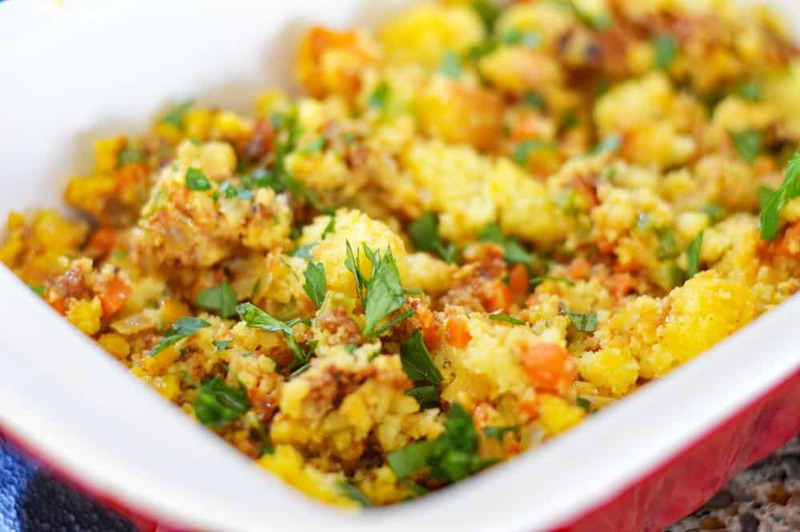 This Vegan Chorizo Cornbread Stuffing is so incredibly flavorful and … it’s easy to prepare! Another side in my Thanksgiving 2017 collection, this stuffing is a popular alternative to the traditional – but don’t worry if traditional is your thing, that recipe is coming soon! 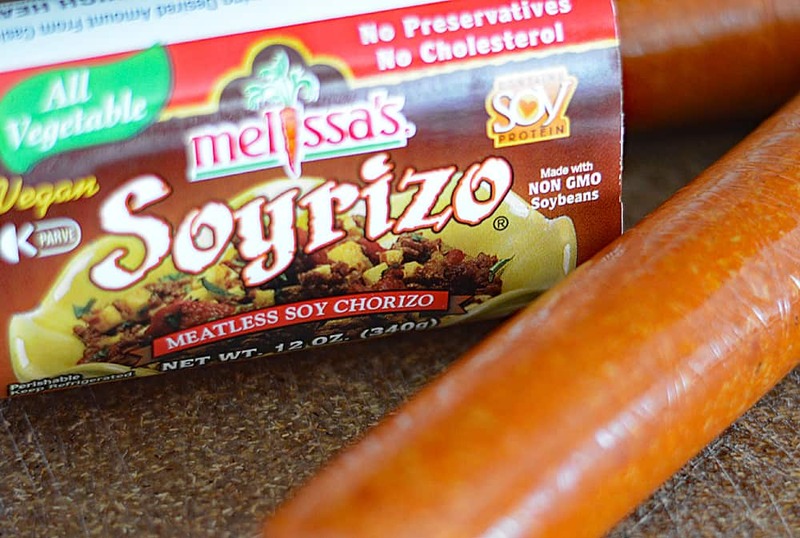 A few years ago, it was hard even for me living in a larger city to find things like this meatless soy chorizo. Now, it’s right there in my local Safeway grocery store. Of course, Whole Foods, Sprouts, Trader Joe’s area all places where these things are always readily available. This was my first time using the product, so you just squeeze it out of the plastic “casing” into a hot pan for a quick saute. While that is happening, I sauteed up onions, carrots and celery until they were tender. 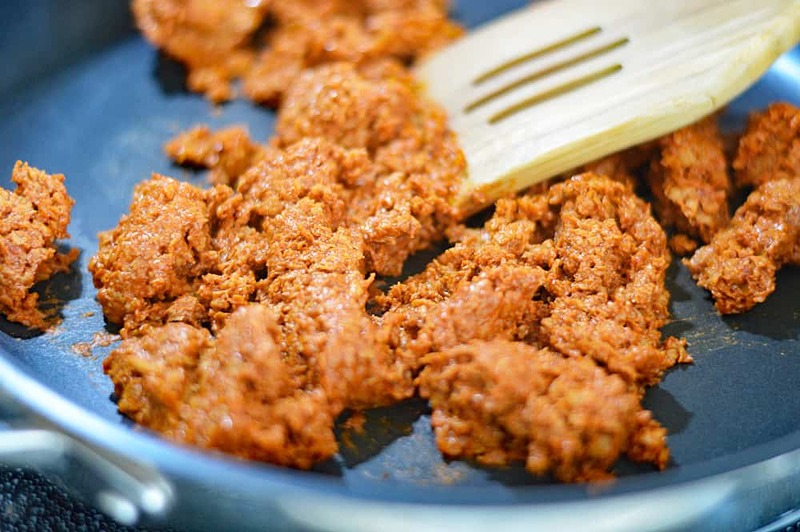 Combine the two, crumbling the chorizo into smaller pieces using your hands. I baked the cornbread earlier in the day because I didn’t want it to be too soft. 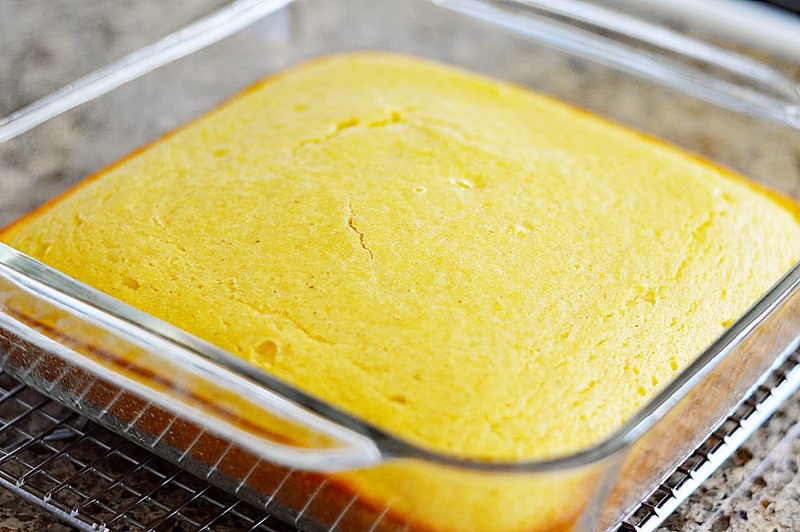 If you are looking for a vegan cornbread recipe, you can find mine here. Just cut it into cubes. To dry the cubes out, all I did was stick them on a sheet pan and placed it in the oven just while it was preheating. Now that the cornbread cubes have a little more crisp to them, I (gently) combine everything together along with the broth. You don’t want to break up those beautiful pieces. I prepared my baking dish with a bit of cooking spray and baked the stuffing until the top was golden. Garnish with a bit of fresh parsley just before serving. 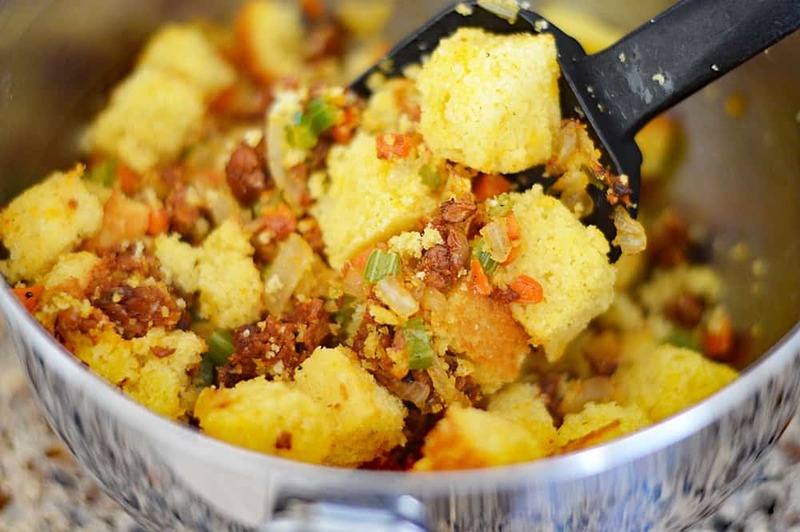 Did you make this recipe for Vegan Chorizo Cornbread Stuffing? Leave me a comment below and let me know what you thought! Heat a large skillet over medium high heat. 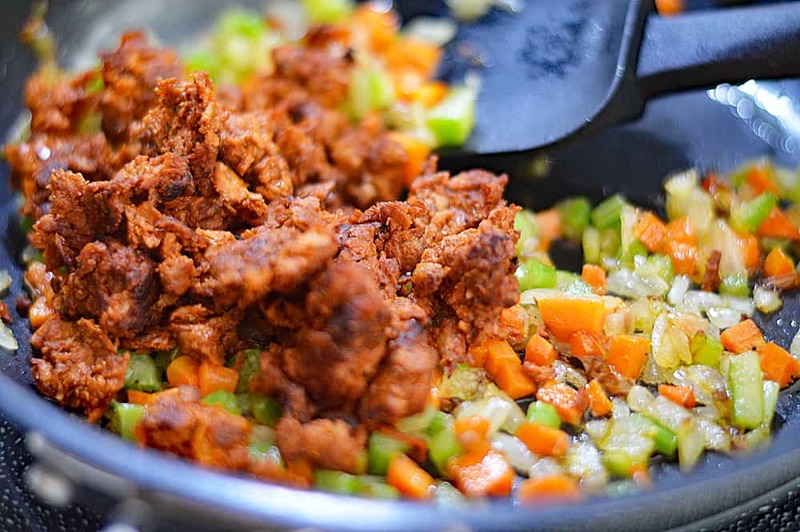 Add SOYrizo and cook until browned. 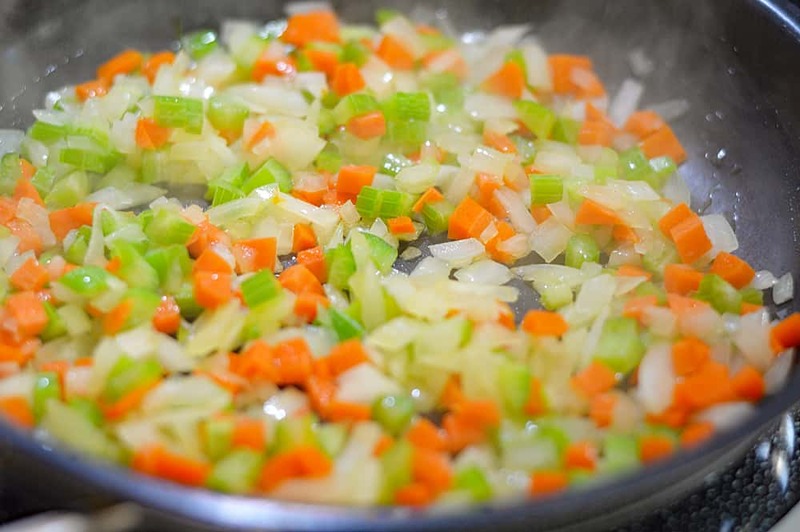 In another saute pan, add onion, carrot and celery. Cook, stirring occasionally, until vegetables have softened. Add garlic, cook another minute or so. 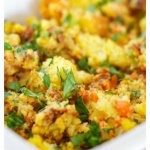 In a large bowl, gently stir together cornbread, vegetables and vegetable broth. Season with salt and pepper, to taste. Add cornbread mixture to prepared baking dish. Bake until heated through and golden. Mine took about 20 minutes. Garnish with fresh parsley just prior to serving.